Cream lamps look fantastic in rustic country settings. The ivory cream Tuscany lighting range offers a selection of centre ceiling lights and wall lamps to match. The wall lights from this range come in a double and single option. They both have a circular wall mount with a scrolled arm and a pull switch. 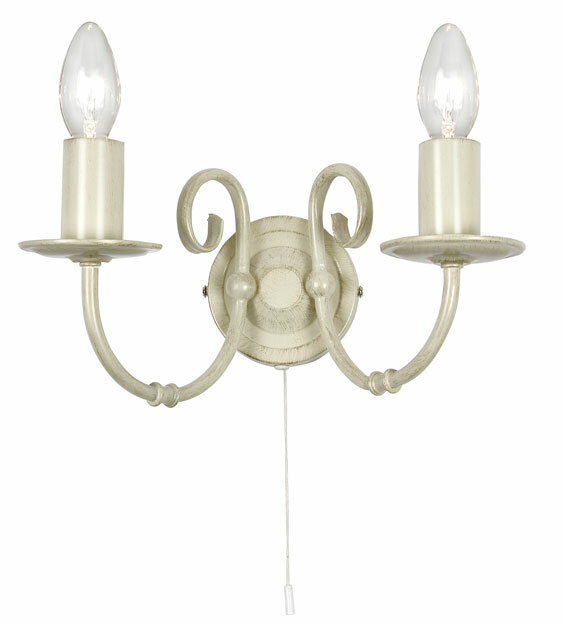 The wall lights have a base colour of cream with a soft distressed gold brush. What is the width of the circular fitting for the Tuscany Cream and Gold Wall Light? How does the lamp fit to the wall? The width of the back plate is 10cm and is fixed to the wall by a bracket which sits inside this back plate.